The Beauty Scoop! 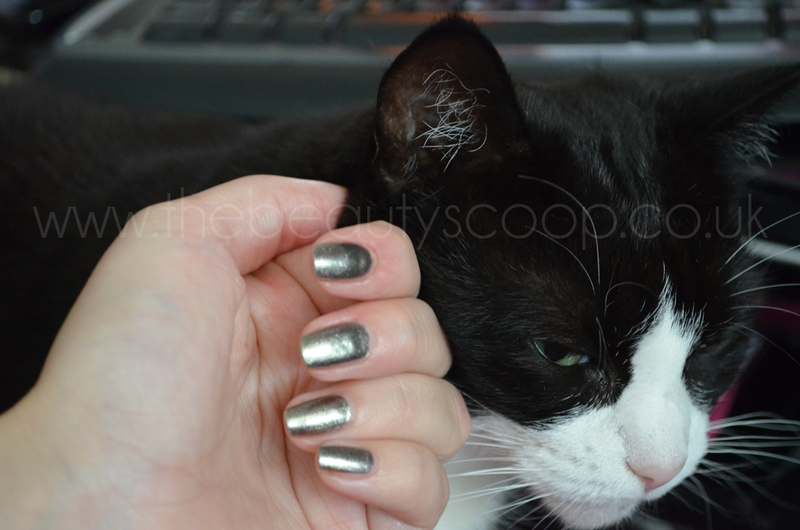 : Chanel Fall 2011 Le Vernis Nail Colour - GRAPHITE (529)! 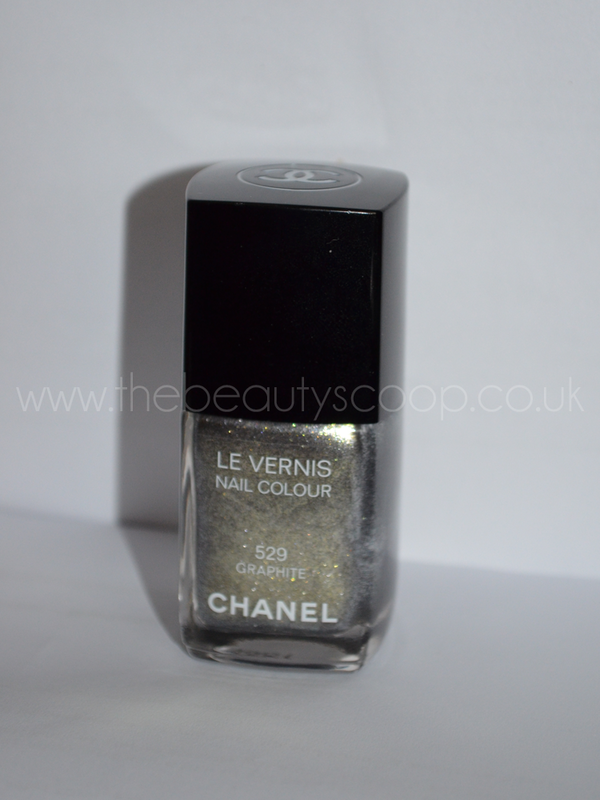 Chanel Fall 2011 Le Vernis Nail Colour - GRAPHITE (529)! Meet Chloe, my new model! Another of the very soon to be released Chanel Fall 2011 collection is Graphite, a beautifully metallic grey-silver nail polish that stays true to the name it was given, even down to the finish of the polish – see the picture below. 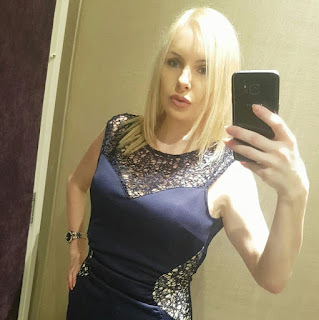 I really love the colour of this; it’s one of those shades that you can wear with anything without it being boring. It’s anything BUT boring, actually as I find the colour can pick up different hues from the surrounding areas to being out very slight changes in its tone. It doesn’t actually CHANGE colour, but if you’re near something brown/orange or even yellow you tend to notice the polish has more of a gold tinge to it. If you’re next to something white, or blue even I think it shows up more like a true silver-grey etc. To look at the finish, at a first glance it just looks very metallic and shiny, very minx-like; but when you look closer you can see that it’s actually almost a very fine glittery effect where you can see the different tones running through it. It’s a gorgeous polish, and one that I find myself looking at almost constantly, moving my fingers to make the light reflect off it even more – is that weird? I seem to do it with a lot of pretty nail polishes. Application was great; it applied with ease and took 3 coats to avoid any patchiness. It also dried quickly, meaning that the application process was over and done with just as quickly which is fabulous for me as I love nail polish but hate applying it. I got a small chip after 3 days of wear; however it was near the cuticle and could potentially be my application as the rest has stayed as perfect as the day I put it on. The chip was easily disguised too, because of the finish of the polish I was able to fill it in and then just go over the whole nail after, without it looking like I had done a repair. When I first saw this polish, the first thing that popped into my head as a potential dupe was OPI ‘Lucerrne-tainly Look Marvelous’ but after comparing the 2 polishes I can 100% say that it is NOT a dupe. The OPI is darker for a start and leans towards a more blue-toned grey whereas I think Graphite has more of a green-y gold tinge to it in comparison, to my eye anyway! The finishes are different too, at first glance you think they may be the same but the Chanel is almost certainly more sparkly and seems to be more multifaceted too. 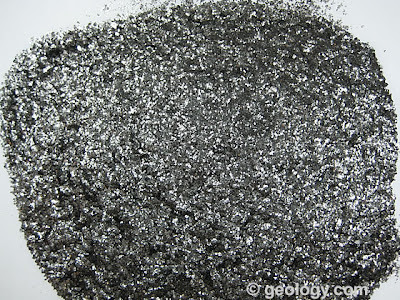 Graphite will be available on Friday August 19th 2011. It's such a cool colour, but I could never pay that much for a nail polish (we get ripped off really badly in Australia). I hope the similar Revlon version makes it here. Have you tried it? I haven't tried the Revlon one, I have seen it on Cafe Makeup though (here: http://cafemakeup.com/2011/08/04/revlon-carbonite-a-dupe-for-chanel-graphite/) and it looked like a bit of a dupe in *some* lights but didn't appear to have as much sparkle. Competition - Win a Sigma Travel Kit Brush Set!! Celeb Sunday - Jessie J! Feel Unique Beauty Box - Contents! Celeb Sunday - Geri Halliwell! Happy (Belated) Birthday To The Beauty Scoop! Essie 'Carry On' Fall 2011 Polish Collection! A Recent EOTD (Well Night, Actually)! Wordless Wednesday - Olivia Wilde! Celeb Sunday - Vanessa Hudgens! Boss Orange Fragrance Deals @ John Lewis! 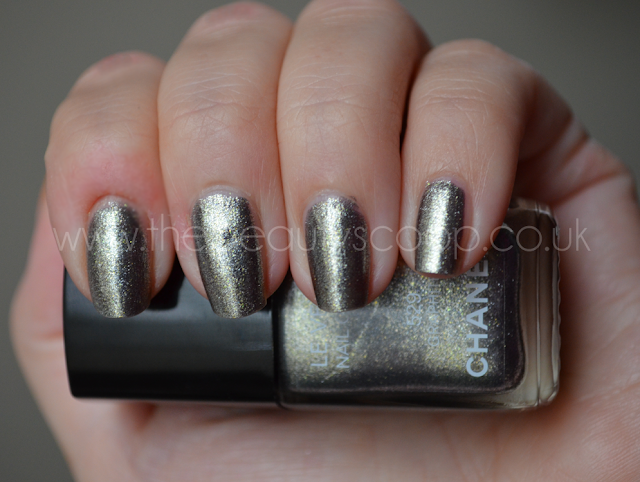 Chanel Fall 2011 Le Vernis Nail Colour - PÉRIDOT! 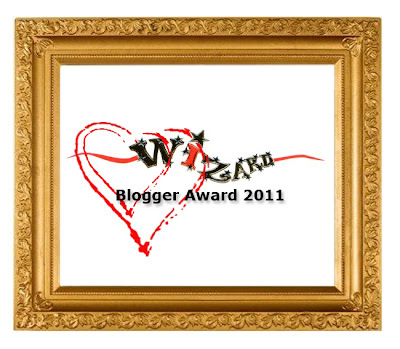 I've Had A Makeover... Well The Blog Has! China Glaze's 2012 'Eye Candy' 3D Glitter Polish!